...project manager and business consultant. He takes responsibility for both customer and his own company, always taking care of details and profit, without loosing the goal. Lennart is committed and very easy to work with. I can warmly recommend him!" ...some four years, working within the ECM area. I had the great pleasure of working together with Lennart in several projects, both in business development and delivery projects, where I reported to him. He truly belongs to the high-end segment of program/project managers. Lennart combines an ability to always identify what is important, with excellent coordination skills and a strong focus on client needs on all levels and high quality deliveries to meet those needs. With his impressive experience and strong analytical abilities, I am happy to recommend Lennart to any organization in need of a (project/program) manager in need of someone who can manage large and complex projects, programs or processes, with many people and organizations involved"
"Lennart is a committed professional..
...who knows how to coordinate and care about stakeholders in a smooth and efficient way, and across different countries." ...serious resource with deep experience in running large and complex IT projects. Lennart has genuin feeling for details and allows no carelessness in projects. At the same time energy to find new creative solutions to reach the best results eventually. Very good control." .../program manager. His communication and management skills enable him to work at any level in an organization. He is very result oriented but at the same time pragmatic. He is a great team player and he always focus on delivering set objectives on time and budget." 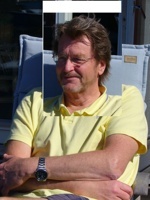 "Lennart is a senior program manager..
...with vast experience and a dedicated mind to get projects to goal. He proved himself in many successful programs and projects inside Logica. An example to is his early investment in mobile apps inside Logica where we launched a game inside Logica for experiment on the iOS platform. This gave a great foundation for upcoming projects. I'd love to work with Lennart ones again in any form." ...along with three colleagues from a group of business consultants and was always very prompt and detailed in the feedback and protocols. Lennart had always very good and relevant comments on our work and results and he finds it easy to talk and understand colleagues at all levels. I really recommend Lennart working as a senior project manager on large projects."